If you are lucky enough to be a finalist in a contest you might think about going to extraordinary lengths to win — like paying for votes. But what really works and what is a bad idea? Before you get yourself into trouble and get disqualified, you should consult the official rules of the contest. The rules outline all the ways you could get disqualified for cheating, and some things that you think are harmless could end up hurting your chances. Use a vote exchange club. These “clubs” are informal agreements to exchange votes for your entry, for votes for their entry in another contest. Some contests explicitly prohibit this so check the rules closely. Join a sweepstakes club or sweepstakes site. These clubs or online forums may have a lot of members that can give you votes. But are they in the country where voters are supposed to be? Will they be using valid accounts or spammy ones? And did you have to pay to join? Most contest vendors are able to spot any activity that is suspicious, spammy or outside the country where it is supposed to be, and block it. Hold a Giveaway for Votes. This has gotten quite a few influencers in trouble in national contests. Brands don’t always like their contest finalists doing this so read the rules carefully. Especially if you plan on giving away part of the prize you win – you can’t legally offer a prize that ultimately isn’t available to give away because you don’t win. Create fake accounts and email addresses. This is wrong on many levels. You should not be creating fake accounts or using anyone else’s email without permission. And NO, you can’t use the list of email addresses from your contact list to enter for people you might know. Clear your cookies. Some contest vendors set cookies on your computer to check a user’s session or IP address, which is a network or computer’s unique numerical address, to ensure only one vote is counted. By clearing cookies this check can sometimes appear to be circumvented, but many contest vendors can still disqualify those entries. People have even gotten caught bragging on social media about how to get around the vote check by clearing cookies and have been promptly disqualified. We strongly suggest not risking it. 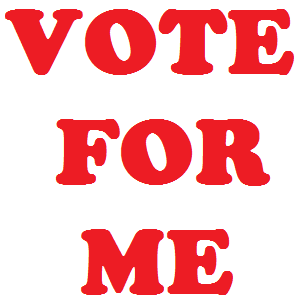 Share about the contest on social channels and give people a direct link to vote for you. Don’t just stop with Facebook – share on Twitter, Instagram (put the link to vote on your bio and tell people where to find the link in your posts and stories), LinkedIn, YouTube, and Snapchat. Tell people at your job and any groups you belong to either personally or professionally. If you have a blog, post about the contest and how people can vote. Send emails to everyone in your contact list, or change the signature line of your outgoing emails to include a link to vote for you. Ask friends with a large social or blog following to post about it! Good luck with your contest entry, and if you are thinking of running a contest, check out our contest resources and call us for help in planning your next contest.